Pro tip from Melky Cabrera: don’t dive after liners to the outfield late in the game with your team in the lead. If you miss, you may allow a single to turn into a double. And if you do dive, try not to mimic the technique of a fan going after a foul ball. In the bottom of the third Jerry Layne had a little fun with Dustin Pedroia. 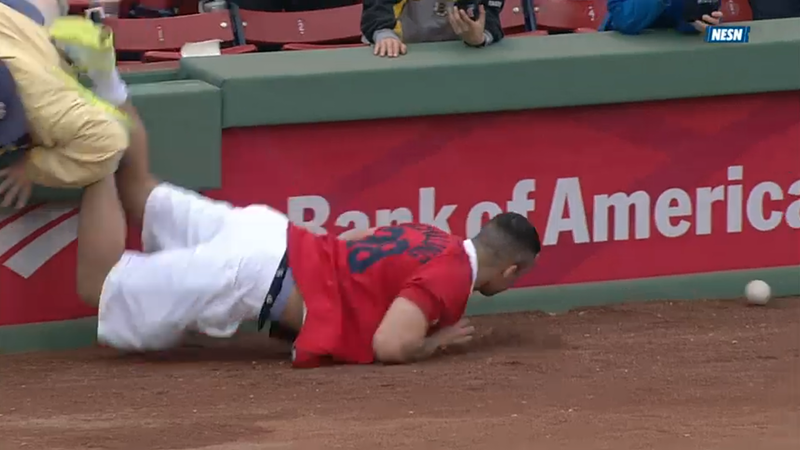 The second baseman thought he was imbued with the speed of Jacoby Ellsbury and attempted to stretch a single to left into a double. 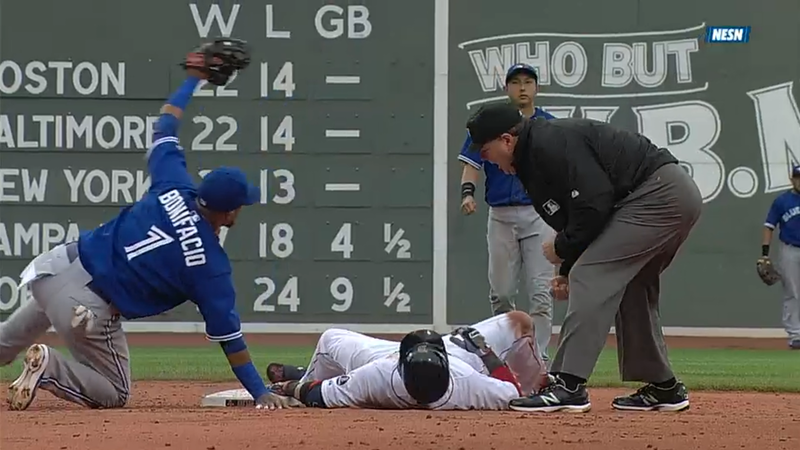 The ball was there to greet Pedroia as was Layne. Layne’s call was correct, which is more than can be said for his colleagues around the league lately. Angel Hernandez failed to correct the call on the instant replay review of a home run in a game between Cleveland and Oakland on May 8. The homer would have tied the game. (b) If the pitcher is replaced, the substitute pitcher shall pitch to the batter then at bat, or any substitute batter, until such batter is put out or reaches first base, or until the offensive team is put out, unless the substitute pitcher sustains injury or illness which, in the umpire-in-chiefs judgment, incapacitates him for further play as a pitcher. The game was between the Angels and Astros, and somehow first-year manager Bo Porter silvertongued the umpiring crew into thinking that the rule had been changed. But I can’t help but think Culbreth and the gang were amused to see Mike Scioscia extremely upset.